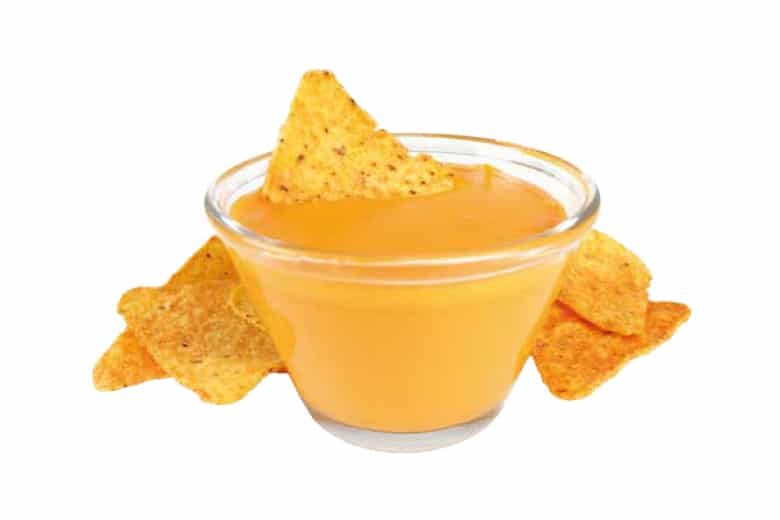 An aseptically produced, ready to use 0g TFA sauce made from a blend of cheddar cheese, natural cheese flavours and jalapeno peppers. Unopened pouches should be stored in a cool, dry environment and protected from freezing. Unused portions in opened pouches must be stored in a clean, covered vessel at refrigerated temperatures [ 36 to 40ºF (1.7 to 5ºC) ] and used within 1 week. Water, coconut oil, corn starch modified, cheddar cheese (cultured milk, salt, enzymes, annatto colour), whey, corn starch, contains 2% or less of nonfat dry milk, sodium phosphate, salt, calcium phosphate, cellulose gum, yeast extract, casein, monoglycerides, jalapeno peppers, natural flavours, annatto colour, artificial flavour, tumeric colour, FD&C Yellow #6,acetic acid, maltodextrin.